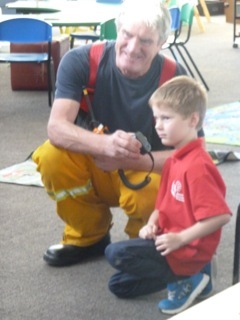 When the fire truck came to school we learnt lots of things. 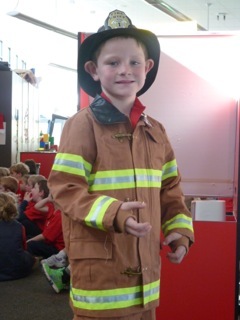 We learnt about the different clothes that the fire fighters wear to fight different fires. We climbed on the fire truck and learnt how to squirt the fire hose. We pretended to use the walkie-talkies and to drive the truck. 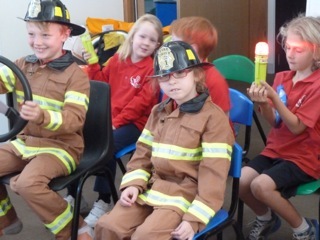 The most important thing we learnt was to dial 000 if there is a fire and there are no adults around. We had a lot of fun, especially squirting the fire hose.